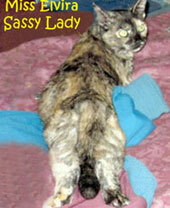 Happy Tortie Thursday, felinity assembled! This post is gonna serve triple duty, today. 1st off, Daddy Kiril took his new camera monopod walking stick to a nearby park, back to the same spot where the first one had its unfixable issue when he stuck it in the ground to set up for a photo. He wanted to see if WALKER, Texas Monopod Hiking Stick was up to the challenge of his new life. 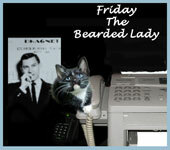 Daddy took 2 special photos for his blog, the 1st of which he used as the new header of his writer facebook page. While at the park he decided to ask the resident Ducks of this lake some questions. That led to the next photo he took. 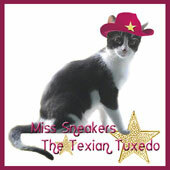 Sneakers the Texian Tuxedo, here! The last time Daddy Kiril had a Seen and Heard to share was in November of last year! WOW...He keeps his ears to the ground and eyes peeled....but hasn't caught on to much of late, has he? Hee, hee! Anyway... that may be changing. As we revealed the other day we welcomed a New Member to the Family! Daddy has a new Camera Monopod Walking Stick at last. He took it out for a couple of strolls and hoped to see some cats. His first stroll was along the Terry Hershey Trail next to a particularly wild stretch of Buffalo Bayou in SW Houston. While there were no cat-related encounters there his next outing proved more interesting. The last time Daddy Kiril had a Seen and Heard to share was in October of last year! Seen and Heard 36: Are Too! Are Not! WOW...I have to remind him to keep his ears to the ground and eyes peeled....I'm sure he's missing lots of interesting things, hee, hee! Anyway...as you know the Humans had an election for President last week. Sadly it has since died and he's been reduced to using the camera on his cell phone, which doesn't always produce up to our expectations. Daddy recently had a bike given to him and was able to ride for the first time in months. On his way to work he kept an eye out for anything interesting and, on Saturday morning, stumbled upon an interesting scene in Brays Bayou, at Chimney Rock, while riding along the bike trail. Good evening felinity assembled, this is a story about some of our more wild new neighbors as they come to grips with our moving into the neighborhood. 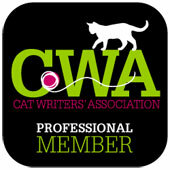 Daddy, like the fictional Dr. Doolittle, understands the words of many critters, and the things he's heard them say, about cats especially, have always been interesting to us. Far too many humans have no clue how often cats come up in conversations among other animals...now daddy, and Opinionated Pussycat set out to show what is going on right under their noses. Word has gotten around that the Texian Tuxedo, Sneakers, her mentor, me, and our human have moved into the area....but some critters were quite late in learning the news, it seems, based on what Daddy Kiril witnessed and overheard on New Year's Day and then on the 3rd. Not far from our apartment is a portion of a long stretch of the more wild side of Brays Bayou; No bike and hike trail here. When I learned what happened it made my day! I am tasked with hosting the latest in a series that last saw an entry a week before I was born! It's a very cool series, too! Daddy Kiril was on his way home from the market, this evening, when he saw a bird on a phone line in a parking lot at Westheimer and Gessner; as he watched he saw another bird land nearby and overheard their conversation. In order to share it he took a quick photo before one or both decided to fly off. The 2 birds are perched close to the tops of the telephone poles. NOTE: For more from the daddy cam see the archive! 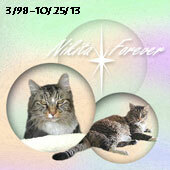 Good evening, felinity assembled, Nikita here with a story that has to be seen to be believed. Good morning, felinity assembled, Nikita here with a story that is, dare I say it, quite simply, batty. Daddy Kiril visited the Waugh Dr. Bat Colony, here in Houston, with the idea of asking around about where there might be cats in the area. The weather in this town, I swear! Good afternoon, felinity assembled, Nikita here with the lament of one soaked local creature. Daddy Kiril was out and about, yesterday, camera in tow, umbrella, too, when encountered a rather annoyed little earthworm out for an afternoon slither. This was one of those days where, with half the sky in blue and the sun shining where it could, dark clouds rumbled thunder and drenched the city in rain. Daddy was about to open his umbrella when he happened to overhear a tiny voice sigh, then share its thoughts with what it no doubt thought was an uncaring universe. What the creature thought when it realized it had almost been stepped on and also had its picture taken, daddy doesn't know as he had to hurry to catch a bus. 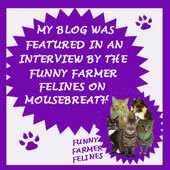 Far too many humans have no clue how often cats come up in conversations among other animals...now daddy, and Meowsings, set out to reveal what is going on right under their noses.